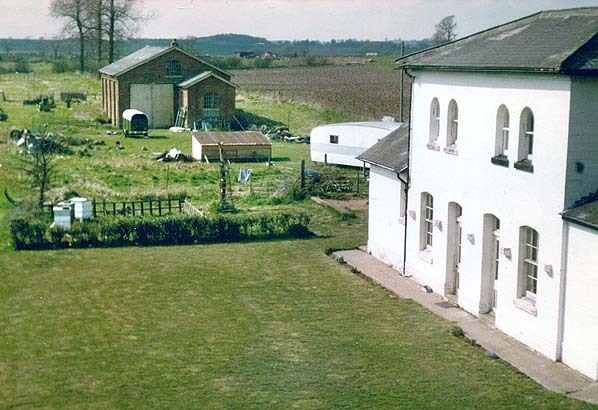 Present state: The station building which incorporates the station master's house gas been extended and is in private occupation, the track bed has been filled up to platform level. 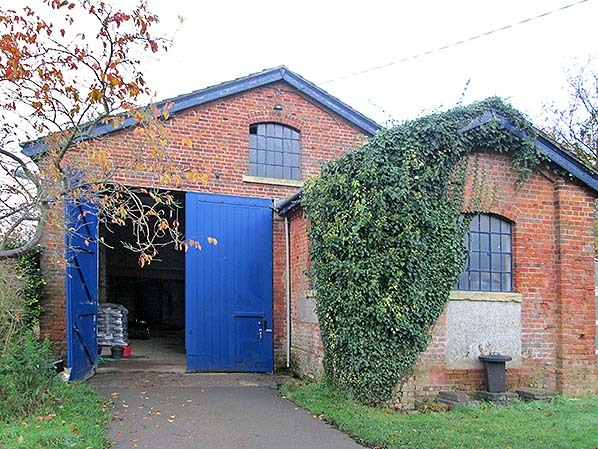 The brick goods shed to the north is unchanged and in good condition. Station Road bridge is extant. Notes: The station had a single platform on the up side of the line. 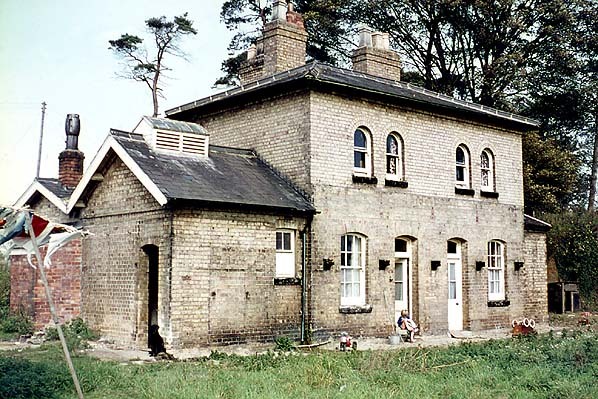 The main station building incorporated the station master's house, booking office and waiting room. A signal box opposite the platform controlled access to the small goods yard on the up side of the line. This consisted of a loop siding that passed through a brick engine shed, from it a short siding served an end dock behind the platform. There was a cattle pen to the north of the goods shed and a 1.5-ton crane. The first proposal for a branch line from the GNR at Firsby to Spilsby was made in October 1864. It was felt that Spilsby had suffered by not having a railway, compared to other local market towns like Burgh-le-Marsh; Spilsby had lost much of its trade since the opening of the East Lincolnshire Railway in 1848. The proposal was enthusiastically received; a land survey was made in December 1864 and an agreement was made with the GNR to operate the line and provide rolling stock and staff for 21 years in return for 60 of gross receipts. The line was authorised by Parliament on 5th July, 1865 with an authorised capital of £20,000 and loans of £8,333 but after early enthusiasm, the Spilsby & Firsby Railway found it difficult to raise sufficient capital and construction was delayed, not starting until March 1867. 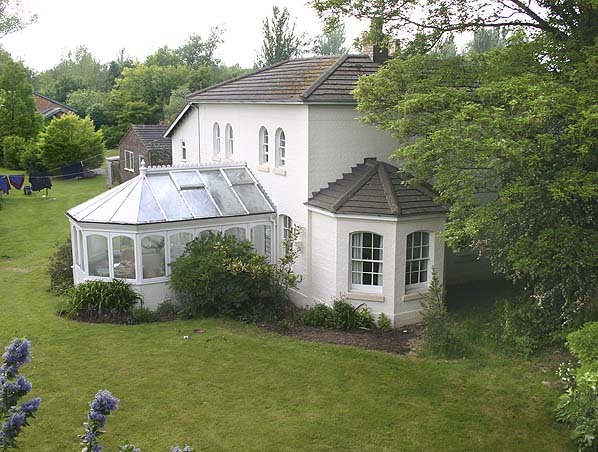 Once work was underway however it proceeded rapidly from the Spilsby end, with track reaching Firsby in August 1867. 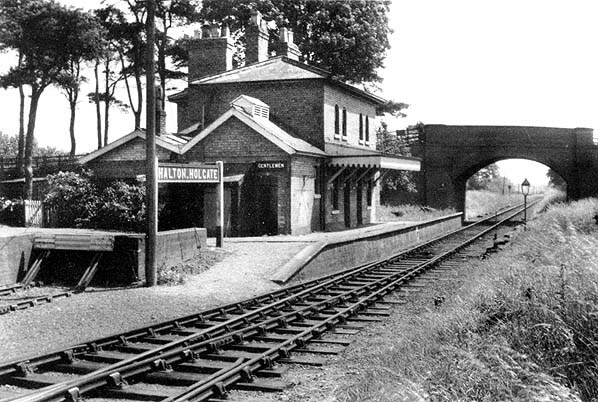 The line was inspected by the Board of Trade in early in 1868 and after a few changes suggested by the GNR the 4 mile 14 chain single track branch line opened on 1st May 1868 with one intermediate station at Halton Holgate. At Firsby, a new signal box was built and trains ran into and out of the down platform. There were five daily trains with an additional train from Boston Market on Mondays and to Boston Market on Wednesdays. Locomotives for the branch were provided by Boston shed and were shedded overnight at Spilsby. Despite the branch being well used, the company didn't declare a profit until 1878. Profits continued to rise until 1885 and then dropped dramatically and it was soon clear the company was in serious financial difficulty. On 25th July 1890 an Act authorised the GNR to purchase the line for £20,000. Under GNR control there were several proposals to extend the line to join up with the Horncastle branch to create a direct route between Skegness with Lincoln and on to Doncaster and Sheffield. A bill was put before Parliament in 1884 but came to nothing as did a similar scheme in 1886. During its peak, the railway ran 7 trains a day with some being mixed passenger and goods trains; a goods and coal train was run through as required. Other than incoming coal supplies and general goods, traffic consisted of all types of farm produce and supplies, cattle from Spilsby Market and sheep from the Partney Sheep Fairs. Both petrol and paraffin were also brought in by rail to be distributed from a fuel depot adjacent to the station. The branch closed to passenger as a war time economy measure on 10th September 1939 and the service was never reinstated but it remained open for goods traffic. In 1958 rumours of total closure of the branch were confirmed by the British Transport Commission who stated that the line would close due to the high cost of replacing a bridge over the Steeping River that was in danger of collapsing. Temporary repairs to the bridge had already been made which caused flooding of the surrounding land. The only solution was to replace the bridge which could not be justified due to the high cost and ever diminishing income from goods traffic on the line. By 1957 petrol traffic moved over to road transport, general goods traffic was in decline, an upsurge the previous year had simply been as a result of incoming cement products for the airfield expansion at East Kirkby. 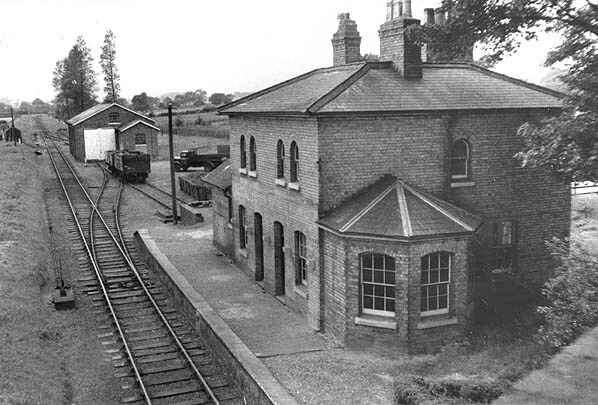 In that year only 8,109 tons of freight was dealt with at Spilsby and Halton Holgate stations. Although closed to passengers in 1939 the service was only treated as 'suspended' and is still shown in Bradshaw at least up to 1950 as 'Train Service Suspended' with a bus timetable. Other web sites:Lincolnshire & East Yorkshire Transport Review includes pictures of the line. Dave's Railpics of Lincolnshire. 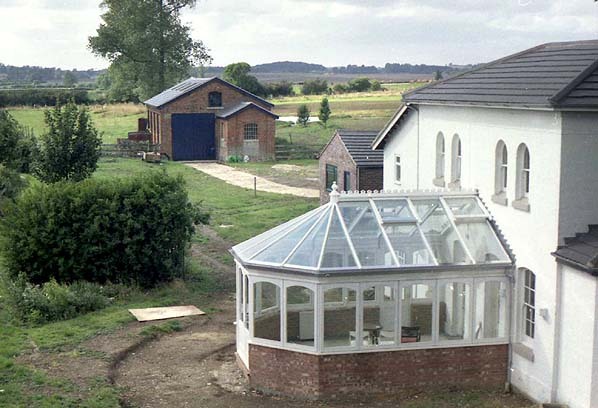 David Enefer's excellent web site crammed with pictures of Lincolnshire stations. Lincolnshire Railway's from the past Adam Cartwright's excellent web site crammed with pictures of Lincolnshire stations.